Students identify an aspect of the topic that is not covered in sufficient detail in their standard level textbook. They then have to produce a page or a double-spread in the same style of the textbook covering that particular topic area, complete with sources, questions and other tasks as appropriate. 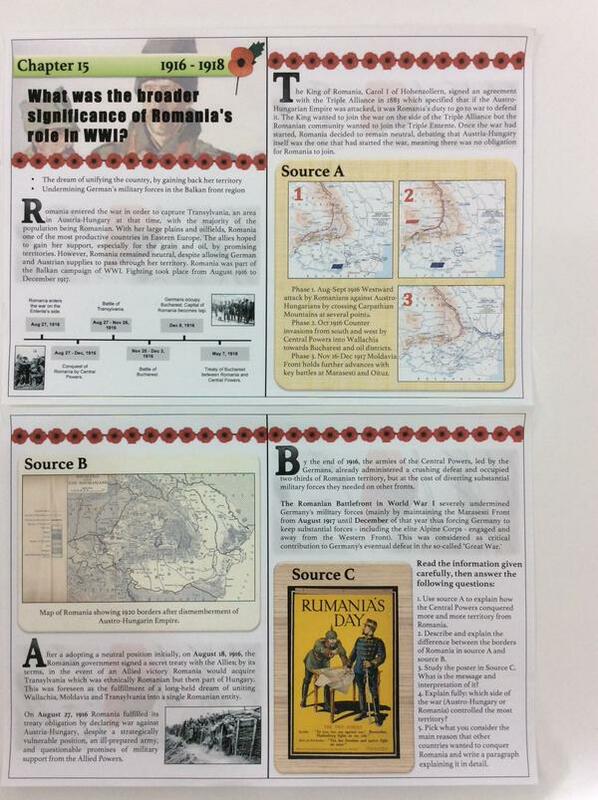 Thanks to @BSB_Humanities for the pictured example of this idea in practice – Year 9 students designed a page for their textbook covering the impact of World War One on Romania.